Returning to the site of his maiden PGA TOUR title, Rory McIlroy broke his own course record with a third-round 11-under 61 and shattered the 72-hole scoring record with his 21-under 267 winning total for a seven-stroke victory over Patrick Rodgers and Webb Simpson. McIlroy claimed his 11th TOUR title at the age of 26 years, 13 days, surpassing Gary Player as the international player with the most TOUR wins before his 30th birthday. Became the first repeat winner of the Wells Fargo Championship. Broke his own course record at Quail Hollow with his third-round, 11-under 61. McIlroy (2010) and Brendon de Jonge (2014) previously shot 62. His 61 is the lowest third-round score. With his 18-under 198 score through three rounds, broke the Wells Fargo Championship’s 54-hole scoring record. In 2011, Jonathan Byrd was at 15-under 201. With his 21-under 267 winning total, shattered the record for lowest 72-hole score. In 2008, Anthony Kim won with a score of 16-under 272. Recorded the largest margin of victory (seven strokes). In 2008, Anthony Kim won by five. Most bogey-free rounds by a champion (2 – second and third rounds). Most birdies by a champion (27). The previous record was 25 by Vijay Singh (2005) and McIlroy (2010). Broke the back-nine scoring by a champion at -11. The previous record was -6 by four players. Tied the low nine-hole score (back nine) with a 30 in the third round. Tied the record for most rounds under par (4). Since 2010, no one is more under par on the 96 par-5s at Quail Hollow. McIlroy posted three eagles, 52 birdies, 29 pars and only four bogeys (-54). His last bogey on a par-5 at Quail Hollow came at No. 5 in round three of 2013. He has now played 39 consecutive par-5s in the event without a bogey. Since the 2010 event (22 rounds for McIlroy), McIlroy has posted a record 118 birdies for an average of 4.5 per round. Three top-10s in eight starts in 2015-16 PGA TOUR Season: WGC-Cadillac Championship (T3), WGC-Dell Match Play (3) and Masters Tournament (T10). In 2016, Adam Scott becomes the sixth player to play the Wells Fargo Championship while holding the FedExCup lead. The others: Jimmy Walker (2014), Hunter Mahan (2012), Bubba Watson (2011), Geoff Ogilvy (2009) and Vijay Singh (2007). Five of the nine winners of the Wells Fargo Championship have qualified for the TOUR Championship by Coca-Cola, the final event of the season that crowns the FedExCup champion: Rory McIlroy (2015), Rickie Fowler (2012), Sean O’Hair (2009), Anthony Kim (2008) and Tiger Woods (2007). After winning in Charlotte in 2007, Woods went on to win the FedExCup later that season. This year’s field consists of four players currently ranked inside the top 10 in the FedExCup, including top-ranked Adam Scott. Former FedExCup champions in the field: Vijay Singh (2008), Jim Furyk (2010), Bill Haas (2011) and Henrik Stenson (2013). Brian Stuard, winner of the Zurich Classic of New Orleans, made the largest jump of the week, moving 146 positions, from No. 184 to No. 38. Stuard, who is in the Wells Fargo Championship field, also qualified for next week’s PLAYERS Championship. 17 of the top 30 in the current FedExCup standings, including No. 1 Adam Scott, No. 5 Kevin Kisner, No. 8 Patrick Reed and No. 9 Justin Thomas. 14 of the top 30 in the Official World Golf Ranking, including Rory McIlroy (3), Rickie Fowler (5), Henrik Stenson (6), Adam Scott (7) and Justin Rose (No. 10). 11 players with PGA TOUR wins in 2015-16: Tony Finau (Puerto Rico Open), Fabian Gomez (Sony Open in Hawaii), Emiliano Grillo (Frys.com Open), Smylie Kaufman (Shriners Hospitals for Children Open), Kevin Kisner (RSM Classic), Peter Malnati (Sanderson Farms Championship), Hideki Matsuyama (Waste Management Phoenix Open), Adam Scott (The Honda Classic and WGC-Cadillac Championship), Brian Stuard (Zurich Classic of New Orleans), Vaughn Taylor (AT&T Pebble Beach National Pro-Am), Justin Thomas (CIMB Classic). Nine former Wells Fargo Championship winners: David Toms (2003), Vijay Singh (2005), Jim Furyk (2006), Sean O’Hair (2009), Rory McIlroy (2010, 2015), Lucas Glover (2011), Rickie Fowler (2012), Derek Ernst (2013), J.B. Holmes (2014). Among those in the field with Charlotte connections: Davis Love III, Webb Simpson, Brendon de Jonge, Johnson Wagner, Bill Haas, Jason Kokrak, Harold Varner III and Kyle Reifers. Jim Furyk, who had surgery on his left wrist in early February, will return to competition at the Wells Fargo Championship. The 2006 Wells Fargo Championship winner hasn’t played on TOUR since he withdrew from the first round of the BMW Championship last fall. At the time, Furyk had hoped to heal quickly enough to compete in The Presidents Cup in October but instead, he served as an assistant captain. When the wrist didn’t respond to treatment he opted for surgery. In addition to his win at Quail Hollow in 2006, Furyk is a two-time runner-up (2005, 2014) and has two other top-10s (2008/7 and 2010/T7). Furyk announced he would also compete at next week’s PLAYERS Championship at TPC Sawgrass. Scott is making his 10th start of the season, where he owns four top-10s including a stretch that included runner-up-win-win (Northern Trust Open, The Honda Classic, WGC-Cadillac Championship). Scott has missed the cut in his last three appearances at the Wells Fargo Championship (2009, 2010, 2015). He has two top-10s: 3-2006 and T8-2008 in seven starts at Quail Hollow. Fowler, who earned his first career PGA TOUR win at the 2012 Wells Fargo Championship, will return to Quail Hollow after missing the 2015 tournament. He made consecutive starts from 2010-14. Since his win in 2012, Fowler has won twice on the PGA TOUR (2015 PLAYERS Championship, 2015 DBC Championship) and twice in Europe (2015 Aberdeen Asset Management Scottish Open and 2016 Abu Dhabi HSBC Golf Championship). Fowler is making his 12th start of the season where he has collected five top-10s: 5-Tournament of Champions, P2-Waste Management Phoenix Open, T6-The Honda Classic, T8-WGC-Cadillac Championship and T10-Shell Houston Open. Mickelson has played 37 of 48 competitive rounds at Quail Hollow at par or better. Mickelson holds the Wells Fargo Championship record for the most top-10 finishes with eight in 12 appearances. Along with his solo second in 2010, he finished T5 in 2004, T7 in 2005, T3 in 2007, T5 in 2009, T9 in 2011, 3rd in 2013 and T4 in 2015. Of the events on TOUR in which Mickelson has competed more than 10 times, the U.S. Open (25), the BMW Championship (18 starts), WGC-Bridgestone Invitational (17 starts), the Memorial (15 starts), The Barclays (14 starts), Shriners Hospitals for Children Open (12), WGC-Dell Match Play (12) and the Wells Fargo Championship (12) are the only ones to have never surrendered him victory. Mickelson made his 18th start on the PGA TOUR in the state of North Carolina in 2015, where he remains in search of his first win. In addition to 12 starts at Quail Hollow, he played the Wyndham Championship at Forest Oaks CC in Greensboro in 1993 (T50), 1997 (T9) and 1998 (T6). In the U.S. Open at Pinehurst, he finished runner-up in 1999, T33 in 2005 and T28 in 2014. The 54-hole leader has won five of 13 Wells Fargo Championships (David Toms-2003, Jim Furyk-2006, Anthony Kim-2008, J.B.Holmes-2014 and Rory McIlroy-2015). Lucas Glover (2011) is the only player in the history of the Wells Fargo Championship to post all four rounds in the 60s. Three players have competed in all 13 tournaments at Quail Hollow Club since the tournament’s inception in 2003: J.J. Henry, Charles Howell III and Rory Sabbatini. Since its beginning in 2003, the Wells Fargo Championship has donated more than $18 million to local and regional charities. 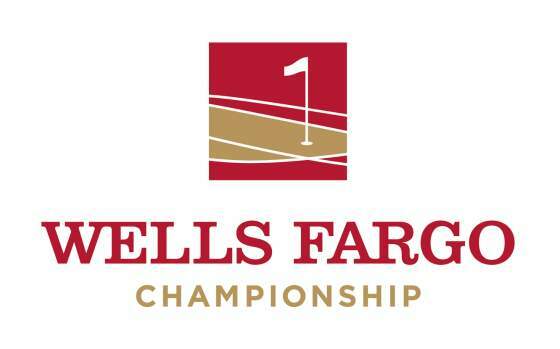 In March 2014, Wells Fargo, the PGA TOUR and tournament host organization Champions for Education announced that Wells Fargo would continue its sponsorship of the Wells Fargo Championship through 2019 after signing a five-year extension. In addition to the extension, officials announced the 2017 Wells Fargo Championship will be held at Eagle Point Golf Club in Wilmington, N.C. when its regular host site, Quail Hollow Club in Charlotte, N.C. hosts that year’s PGA Championship. Quail Hollow Club will also be the host site for The Presidents Cup 2021. The event will take place September 30th to October 3rd. Wells Fargo announced the winners of Succeeding TogetherSM, a national essay contest that celebrates the impact The First Tee® has on students across the country and allows participants to express how The First Tee has had a positive effect on their lives. Grand Prize Winner Meghna Mazumdar, 13, from The First Tee of Connecticut, will play in Wednesday’s Pro-Am with the PGA TOUR professional of her choice. In addition, first-prize winners Arthi Chandra, 14, from The First Tee of Silicon Valley (California), Derrick Ow, 18, from The First Tee of Monterey County (California) and Janane Tan, 16, from The First Tee of Greater Dallas, will be onsite throughout the tournament and will serve as Honorary Observers.